b. 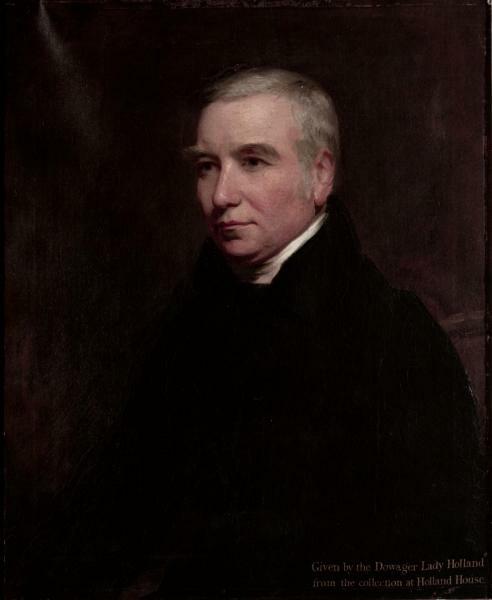 7 Nov. 1776, 3rd s. of Gen. Sir Ralph Abercromby*, and bro. of Hons. Alexander Abercromby*, George Abercromby* and Sir John Abercromby*. educ. Edinburgh h.s. 1788-91; Christ Church, Oxf. 1794; L. Inn 1794, called 1800. m. 14 June 1802, Mary Anne, da. of Egerton Leigh of High Leigh, Cheshire, 1s. cr. Baron Dunfermline 7 June 1839. Commr. of bankrupts 1801-27; PC 23 May 1827; judge adv.-gen. 1827-8; chief baron of Exchequer [S] 1830-2; master of Mint (with seat in cabinet) July-Dec. 1834. Speaker of House of Commons 1835-9. Abercromby was commended by Lord Henry Petty to Lord Holland, 4 Oct. 1809, as being ‘admirably fitted for any of the secondary departments, and to be relied upon in every sense’, if opposition took office. He assisted Lord Grenville in his canvass to become chancellor of Oxford University. He was one of the young Whigs eager for a coalition with Canning, whose conduct he did not wish to see indicted in the Edinburgh Review. Despite reports to the contrary, he favoured a continuation of Ponsonby’s leadership.3 In December Tierney (‘Old Cole’) decided to coach him as a future secretary to the Treasury in place of Fremantle (which was why Abercromby was nicknamed Young Cole). He was one of the Whig calculators who compiled the survey of the House in March 1810 to estimate their strength as the Scheldt debates began to go against ministers. (The list was betrayed to a ministerial periodical The Satirist. )4 He himself headed the alphabetical list of ‘thick and thin’ Whigs. He voted for the release of the radical Gale Jones, 16 Apr. 1810, and on 2 May advocated the reception of the Middlesex petition on Burdett’s behalf. He voted for parliamentary reform, 21 May, as also for sinecure reform on 17 May. On 5 June he warmly supported Romilly’s motion in favour of penitentiary houses as opposed to transportation for offenders. At the end of that session, noting ministerial weakness, he expected feelers to opposition, but felt they were just as weak and needed an alliance with Canning. During the Regency debates he and James Macdonald acted as Whig whippers-in. Office was predicted for him if the Whigs came to power, as secretary of the Treasury.5 He was becoming interested in procedural points in the House and playing a more regular role in debate. He secured a limitation of the Scottish creditors bill, 21 Feb. 1811; opposed the foreign ministers pension bill, 4 Mar., 1 Apr. ; eulogized Romilly’s efforts for penal reform, 29 Mar. ; raised questions about the administration of justice in the colonies, 8 Apr., and insisted on the futility of the House’s public acknowledgment of individual acts of valour in the Peninsula, 7 June. He no longer contented himself with a silent vote on behalf of the Irish Catholics, 25 Mar., 11 June 1811, voicing his preference for tithe reform; and had his say about Scottish affairs 3 May, 11 June. On the bullion report, he took sides, as a select committeeman, with Horner, with whom he thought alike ‘upon almost all subjects’ (except alliance with Canning) and on 9 July expressed his opposition to the bank-note bill.6 He was named to the committee on the night watch of the metropolis, after advocating inquiry into the state of the police, 18 Jan. 1812. He defended Bentham’s model for a penitentiary, 21 Jan., referring to the inadequacy of Newgate prison, which he had visited as one of a committee appointed two years before. 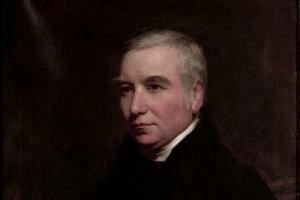 He complimented Brougham on his assault on the droits of Admiralty the same day, having previously voted for Burdett’s and Tierney’s motions on the subject, but disagreed with Brougham’s argument. In February he voted for Bankes’s campaign against sinecures. He also opposed legislation against the machine breakers, 17 Feb. He was appointed to the committee to inquire into delays in Chancery, 26 Feb. He opposed the expulsion of Benjamin Walsh*, 5 Mar. On 11 Mar. he brought in a motion against the wholesale enlistment of convicts in the army, which was rejected, but made its point. He did not agree to a debate on flogging in the army, preferring to leave the question to the officers’ discretion, 13 Mar., but supported Bennet’s motion for statistics on the subject, 15 Apr., and on 7 July 1813 justified the House’s investigating the floggings carried out by one officer. He objected to the unlawful oaths bill, 5 May 1812, to the nightly watch regulation bill, 8 July, and to the preservation of the peace bill, 14, 16 July. In the same month he championed the Channel Islands in debate. He had voted for Stuart Wortley’s motion for a more efficient administration, 21 May 1812. Abercromby resumed his opposition to the banknote bill in debate, 14 Dec. 1812, alleging that it was proving an obstacle to the financing of the Peninsular war, though designed to further it. He was a critic of the creation of a vice-chancellor to Eldon, 15 Feb. 1813, and wished to be sure of the new officer’s exclusion from the House. He complained of the obstruction met with by the committee inquiring into delays in Chancery, 11 Mar., and championed Romilly’s privately stealing bill, 26 Mar. Admitting that he was ‘no very zealous advocate for parliamentary reform’, he nevertheless wished for a proper investigation of improper influence (the Duke of Cumberland’s) in the Weymouth election, 1, 7 Apr. He objected to the substitution of a £10 for a 40s. franchise if Helston were reformed, 30 June, and the same day opposed the reception of a printed petition in favour of reform. He was in the chair at the committee stage of the Catholic relief bill. He opposed the Admiralty registrars bill because of a faulty clause which, he claimed, would defeat its intention, 21 May, 8 June. The state of New South Wales continued to exercise him, 23 June. On 30 June he approved Whitbread’s call for peace negotiations. He supported the stipendiary curates bill, 5, 8 July, and attempted to safeguard the parity of presbyterian ministers in India, 8 July. In January 1816 Abercromby assisted Tierney in mustering the opposition during their leader Ponsonby’s absence.10 His speeches that session were mostly in favour of retrenchment. He had assailed the increased salary of the Irish master of the rolls in June 1815, and in April 1816 campaigned against the office of clerk of the pleas in Ireland, earmarked for abolition. He presented petitions against the property tax, 4, Mar., and criticized the army estimates, 11, 13 Mar., 5 Apr. He queried the grant of £60,000 p.a. to the Princess Charlotte on her marriage, 9 Apr., having voted regularly with opposition on civil list questions. On the legal side, he was a critic of various bids to legislate on insolvent debtors; called for further diminution of transportation of offenders, 26 Mar. ; tried to hold up the aliens bill, 29 Apr. ; cautiously approved the repeal of the usury laws, 22 May; and was an advocate of the reform of the Irish grand jury system, 10 June 1816, as well as on subsequent occasions. He was a silent opponent of public lotteries. Abercromby was teller against the secret committee on sedition revived on 5 Feb. 1818. He supported inquiry into the Scottish burghs, 13 Feb., but without reference to parliamentary reform. In March he and his colleague Macdonald were reported to be staying away from the House.12 He and Brougham were drawn together by his support for the latter’s campaign to inquire into popular education, 5 Mar. 1818, and he supported a commission on the subject, to include all charitable foundations, 3 June. On 13 Apr. 1818 he supported the amendment to the royal dukes’ marriage grants. Tierney’s acceptance was offset by Romilly’s suicide: ‘I have never been more affected by any event’, wrote Abercromby. He supported the pretensions of George Lamb as Romilly’s successor in the Westminster constituency. On 3 Feb. 1819 he was named to the secret committee on the Bank. On 25 May he informed the House that he had always supported the resumption of cash payments and regretted that it had not been adopted in 1816. He saw eye to eye with Lansdowne, rather than Tierney, on the question.14 He advised the government to stabilize the currency that year and postpone fresh taxes until the next, 8 June. He remained a cautious reformer. He called for a fair hearing for the petitioner against the Limerick election, 5 Mar. 1819, and presented the Edinburgh guilds’ petition for burgh reform, 15 Mar. On 1 Apr. he voted for burgh reform. On 22 June he supported the extension of the franchise at Penryn, though he thought the bill should be postponed: it was ‘temperate and gradual’ in intention. He took a more prominent part in the bid to legislate for insolvent debtors, proposing the cessio bonorum of Scottish and Dutch law as the best principle, 19 Feb., 16 Mar., 7 July 1819. Abercromby remained a Lansdowne Whig and gave up his employments on taking office in 1827. His subsequent relations with the orthodox Whigs were strained; by 1834 Lord Grey regarded him as a ‘perfect humbug’. The solution of making him Speaker, for which his ‘peculiar solemnity’ seemed to fit him, proved a failure.18 He died 17 Apr. 1858. 1. Chatsworth mss, Abercromby to Devonshire, 11 Jan. 1820; NLS mss 13335, W. to G. Elliot, 10 Dec. 1812; Brougham and his Early Friends, i. 105; HMC Fortescue, viii. 159; Romilly, Mems. ii. 251. 2. Creevey Pprs. ed. Maxwell, i. 113. 3. Add. 51686; Sydney Smith Letters ed. N. C. Smith, i. 177; HMC Fortescue, x. 9; Grey mss, Grey to Whitbread, 15 Jan. 1810. 4. HMC Fortescue, ix. 426; Loch mss, Abercromby to Loch, 4 June, [July 1810]; A. Aspinall, Politics and the Press 1780-1850, p. 293. 5. Loch mss, Abercromby to Loch, 7 June, 11 July, 16 Oct. 1810; Lansdowne mss, Horner to Lansdowne, 3 Aug. 1812; Blair Adam mss, Tyrwhitt to Adam, 16 Jan. ; Horner mss 5, f. 15; Sydney Smith Letters, i. 203; Rose Diaries, ii. 475. 6. Horner mss 5, ff. 2, 11. 7. Lansdowne mss, Abercromby to Lansdowne, 20 Sept. 1811; Creevey mss, Creevey to his wife, Wed. morning half past seven [?14 Oct. 1812]; Ward, Letters to ‘Ivy’, 174; Brougham mss 194, 31460; Creevey’s Life and Times, 67. 8. Grey mss, Grey to Lady Holland, 15 Dec. 1813. 9. Creevey Pprs. i. 217; Creevey’s Life and Times, 83; Dorset RO, Bond mss D367, Jekyll to Bond, 22 Aug. .
10. Add. 51585, Tierney to Holland, 7 Jan.; Grey mss, Tierney to Grey, 29 Jan, 1816. 11. Grey mss, Tierney to Grey, 20 Jan.; Horner mss 7, f. 258; Chatsworth mss, Abercromby to Devonshire, 8 July; Add. 51565, Brougham to Lady Holland, 1 Aug.; 51574, Abercromby to Holland, Tues. evening; Brougham mss 352; Brougham to Lambton, Sat. [28 June, 10 July 1817]. 12. Buckingham, Regency, ii. 237. 13. Hants RO, Tierney mss 1a. 14. Chatsworth mss, Abercromby to Devonshire, 3 Nov. , 16 Feb., 14 Feb., 14 Apr. ; Add. 51574, same to Holland, 8 Apr. .
15. Add. 51574, Abercromby to Holland, 14 Sept., 11, 18 Oct.; 51584, Tierney to same, 15 Sept. .
16. Add. 52182; Pope of Holland House ed. Lady Seymour, 208; Chatsworth mss, Abercromby to Devonshire, 20 Nov.; Carlisle mss, Lady to Ld. Morpeth [24 Dec. 1819]. 17. Corresp. of Miss Berry, iii. 189. 18. Creevey Pprs. ii. 148, 296, 331; Creevey’s Life and Times, 253, 404.